Embedded Design is by nature a collaborative team process requiring engineering and technical skills including system design, mechanical and thermal design, electrical design, software development, cable design and build, testing, and quality control. 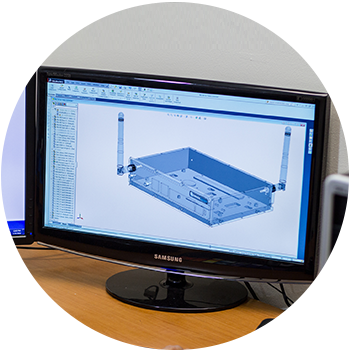 Our engineering team excels at partnering with our customers to understand their needs and to provide top-notch engineering support, whether it’s just providing CAD models, or providing full-turnkey system design services. Working from customer requirements and concepts, ADL Embedded Solutions can help refine customer concepts to develop agreed upon critical design requirements. From these requirements, ADL Embedded Solutions can develop implementation strategies, while our Sales Engineers generate options quotes to help guide the NRE process. This collaborative process is the key to developing workable solutions that meet both cost and technical constraints. 3D modeling is a critical part of most embedded system design work. 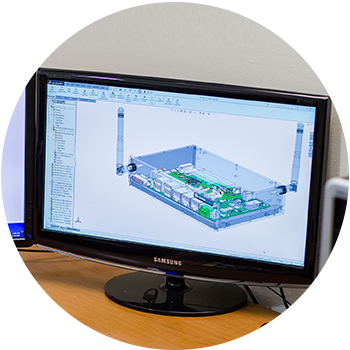 ADL Embedded Solutions is well versed in Solidworks-based 3D CAD design (Solidworks) and can provide CAD Modeling Support for space planning, system development design review, thermal design and modeling and much more. 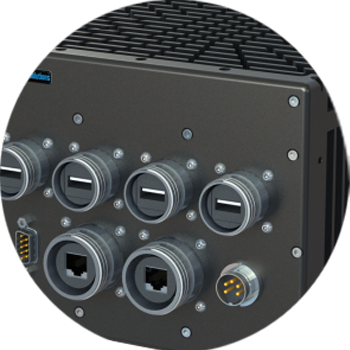 CAD models for all of our SBCs and select peripherals are available in both Solidworks and STEP 203/214 formats upon request. ADL Embedded Solutions provides both standard and extended temperature range thermal solutions for all of our SBCs. 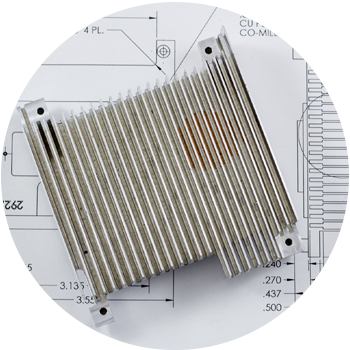 In addition, ADL Embedded Solutions can provide custom thermal solutions (plates, heatsinks and enclosures) as required by specific customer specifications. Working closely with local milling and coating facilities, ADL Embedded Solutions engineers can create thermal solutions for the entire thermal path from high-powered SBCs and peripherals to chassis walls and cooling plates. Solidworks mechanical design tools and CFD thermal simulation software ensure and accurate and time-efficient design process. Unlike many embedded system providers, ADL Embedded Solutions directly designs and manufactures all of its CPU boards including BIOS design and platform supervisory PIC firmware. 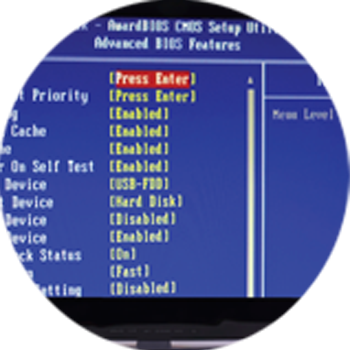 This allows us to provide direct BIOS support and customer-specific modifications. Most Linux and Windows operating systems are fully supported including the possibility of custom software and driver development. 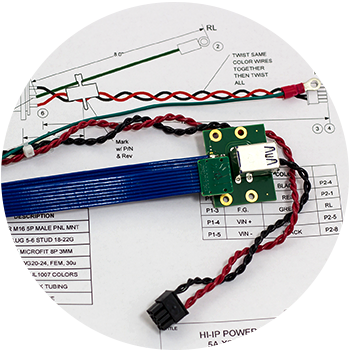 Development cable kits are available for all ADL Embedded Solutions CPU boards. In many cases our standard cabling option are all that is required for a customer’s project. Invariably though, custom cabling needs arise; whether it’s a simple matter of changing the length of a standard cable, or custom designing a high-IP D38999 cabling harness, ADL Embedded Solutions engineers can help specify, design, and build to our customers’ requirements.